“This Cabernet Franc was a pleasure to judge, but equally an absolute joy to taste, savour and discuss,” said Chair of Judges Ben Glover. “This wine is certainly all about a single site… A real treat”. Fourteen trophies in total were awarded and the geographical spread was diverse, with four going to Marlborough; three each going to Hawke’s Bay, Canterbury and Otago; and one going to Nelson. The Bragato Wine Awards recognise the grower for viticultural excellence and acknowledges that growing excellent grapes is the foundation of making wines of true quality. For the first time in the competition’s 23 year history, all wines entered in 2017 had to be single vineyard wines. “By making the shift to a single vineyard show, we’re allowing our industry to express the Turangawaewae of their distinctive sites,” said Mr Glover. 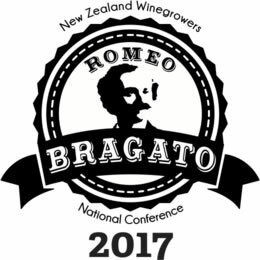 The Bragato Wine Awards are held each year as part of the New Zealand Winegrowers Romeo Bragato National Conference. The Champion Wine of the Show was announced at the Conference Dinner last night. For more information visit www.bragato.org.nz. Now available in five markets country-wide, Pic Picot’s peanut butter has been making waves in the UK. Two Kiwi palate-pleasing products have been named among the best in the world at the “food Oscars”. Devonport Chocolates and Pic’s Peanut Butter have both been recognised with a single star at the international 2016 Great Taste Awards. 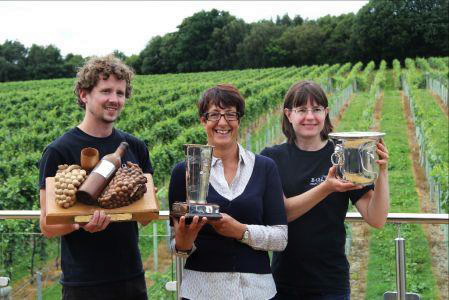 Run by the Guild of Fine Food; the competition involved more than 400 judges from various backgrounds. All 10,000 entrants were blind tasted over 49 days of judging. Revered as the “Oscars” of the food world, Pic’s owner Pic Picot said the win was a marvellous result. 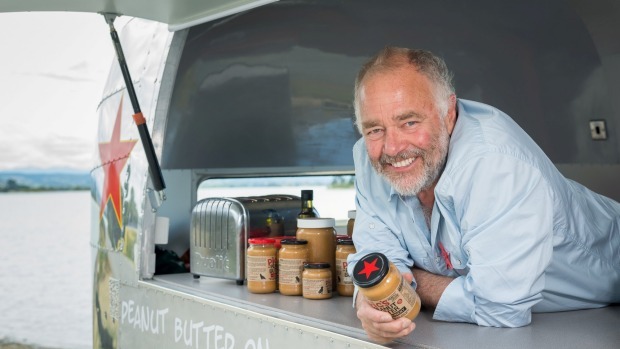 “It’s great to see our peanut butter hitting the right note with UK tastebuds,” Picot said. Well-known for their chocolate high-heels, Devonport Chocolates took one star for their 80 per cent Single Origin Trinitario Moa Estate Samoan Islands dark chocolate. 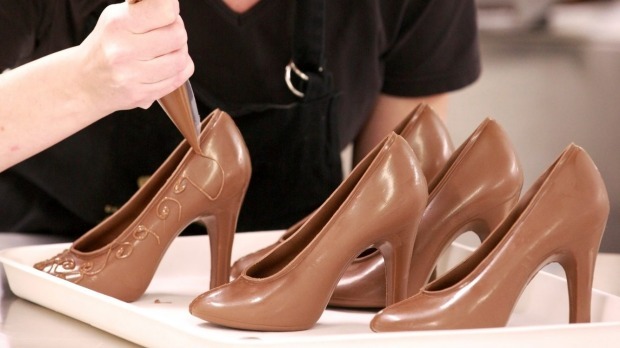 Devonport is known for their chocolate footwear, but their 80% dark chocolate got them a star on the world stage. The small-batch chocolate is made of beans from the Moa Estate in Upolu, Samoa, and blended with Bundaberg sugar in Devonport, Auckland. Three stars are the highest rating a product can get, while the one-star status means the products are “simply delicious”. We are moving from Central Otago all the way to Argentina for our next meeting. This will be an interesting tasting and we hope you will give the evening your support. 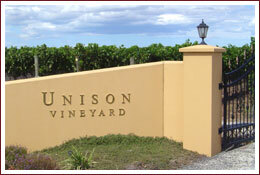 Members may remember that in March 2013 we had a presentation including Lansdowne Estate in Masterton. Please have a look at the “In the News” item. 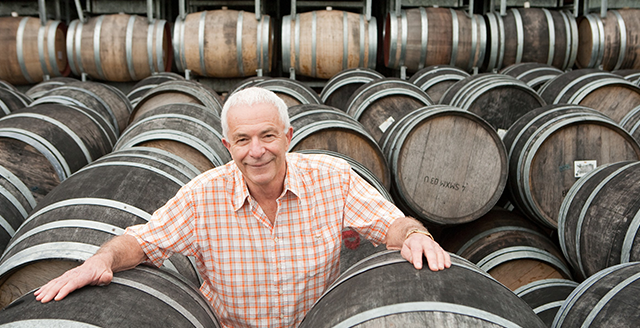 Lansdowne continues to receive international accolades for their wines and the opening of a bottle produced from the same land in 1903 has further enhanced their reputation. Also noted that Lowburn Ferry, featured in the Artisan collection last month, have won an award for their Pinot Noir in Sydney. The industry continues to shine internationally. 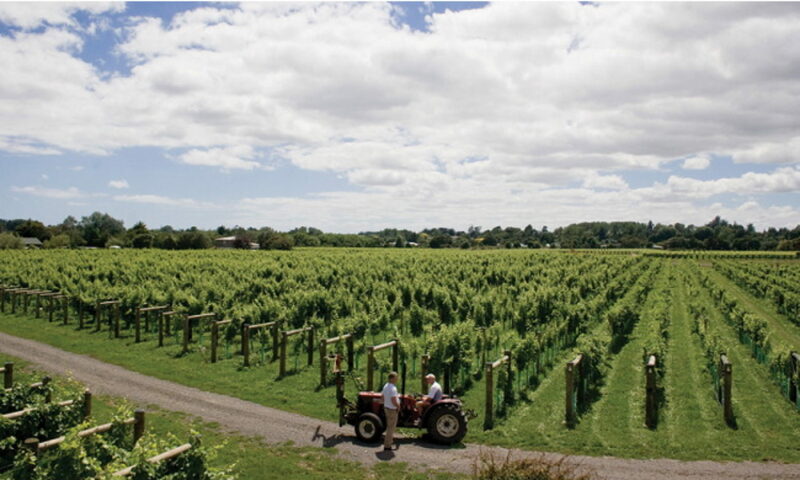 Philip Gregan, the CEO for NZ Winegrowers said the trade deal agreed yesterday would provide improved access into key TPP markets and a secure rules-based system that would help improve market access. “TPP countries account for about 60 percent of our wine exports at the moment and we face tariffs going into a number of those countries, including the United States, Canada and Japan – and as we understand it, those tariffs are going to be eliminated. 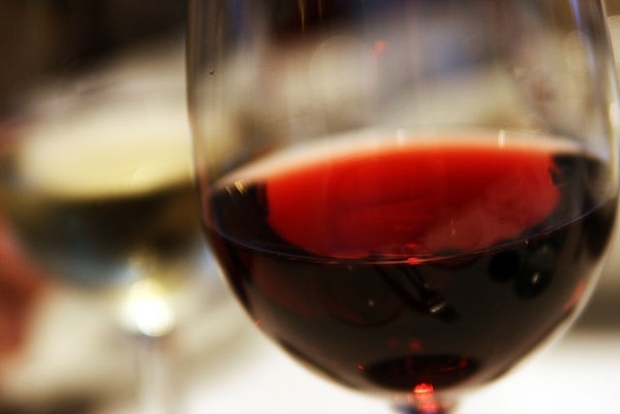 So that’s a great deal for NZ wine exporters,” Mr Gregan said. 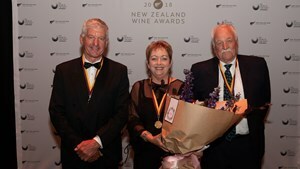 :The fact that the Champion Pinot Gris and the Champion Sparkling Wine have been snapped up so quickly reflects the recognition among consumers of the credibility of the New World Wine Awards for identifying top quality wines at affordable prices,” says Jim Harré, chair of the judging panel. While there might be limited opportunities for consumers to buy the Champion Pinot Gris and the Champion Sparkling Wine given they are close to selling out, the good news is there are lots of other Gold medal wines showcased in New World’s 137 supermarkets nationwide, in the New World Wine Awards 2015 booklet and on the internet. In order to be eligible for entry to the New World Wine Awards the wines entered must retail for $25 or less and there must be at least 5,000 bottles available for sale. This year there were 1,309 entries in the New World Wine Awards, including a full range of varietals. The 13-strong independent panel of wine experts who judged the wines using the same internationally recognised points system as all other major wine shows awarded 86 Gold, 236 Silver and 483 Bronze medals.